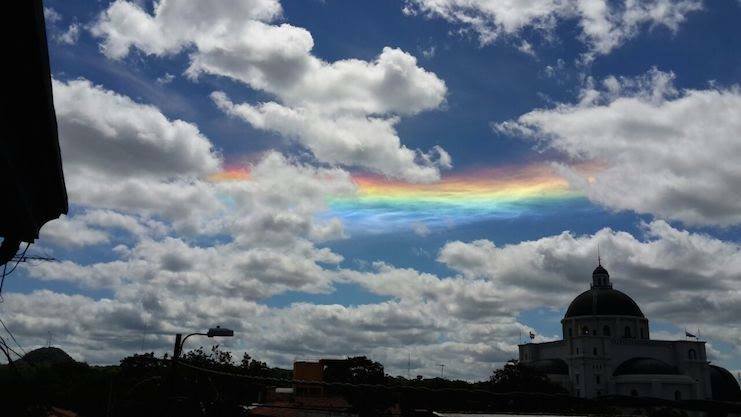 A powerful fire rainbow appeared behind the clouds of Paraguay on March 17, 2017. 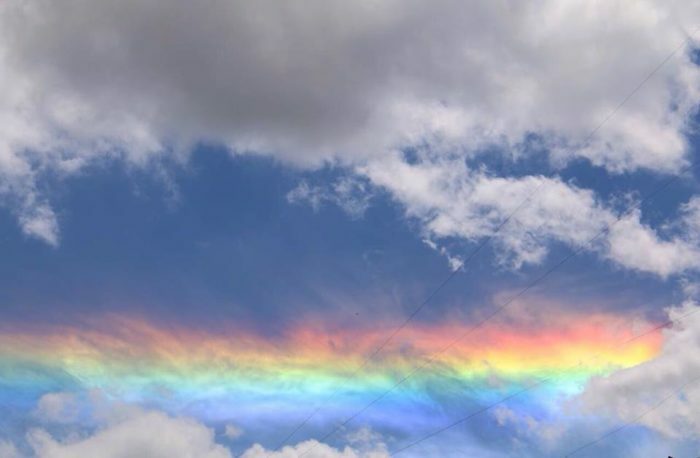 A poem from the sky or a sign of the times to come? 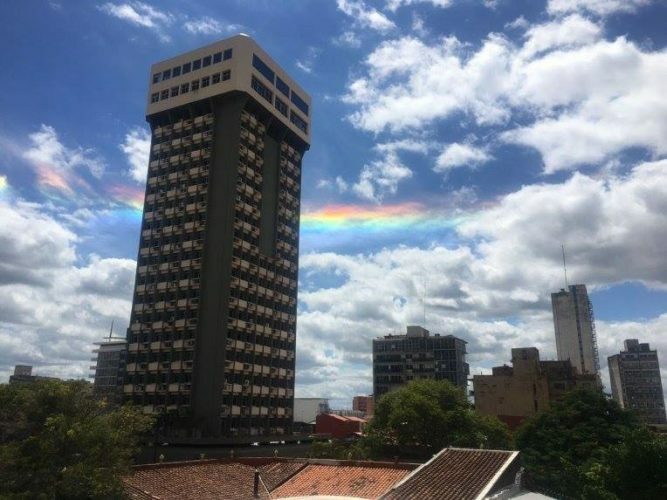 During the summer, if you’re very lucky, you may notice a cloud in the sky that looks just like a rainbow like this one spotted recently in the sky over Asunción, Paraguay. 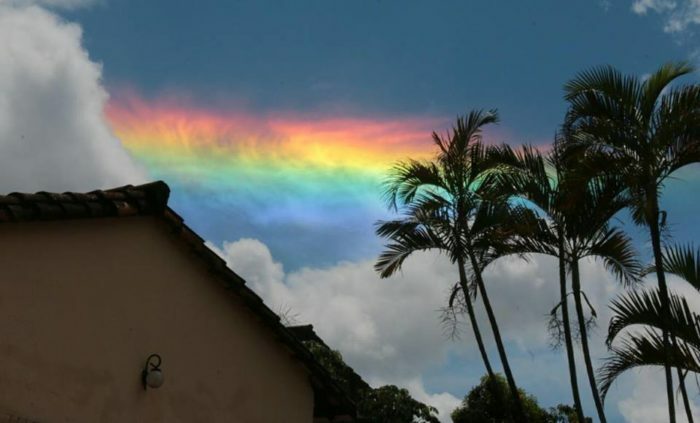 These so-called “fire rainbows” are actually known as circumhorizontal arcs and can occur when the sun has risen higher than 58° in the sky. 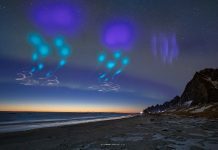 For those living at mid-latitudes, the best chance to see this phenomenon is in the middle of summer. The rarity of the event is highly dependent upon latitude and weather conditions. The potential for these arcs to form in Los Angeles is 5-10 times higher than in London for example. 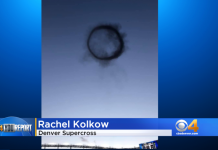 Aside from the position of the sun, the other ingredient to forming circumhorizontal arcs is cirrus clouds. 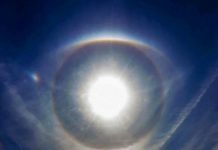 Cirrus clouds are the thin, wispy clouds that occur at higher altitudes. 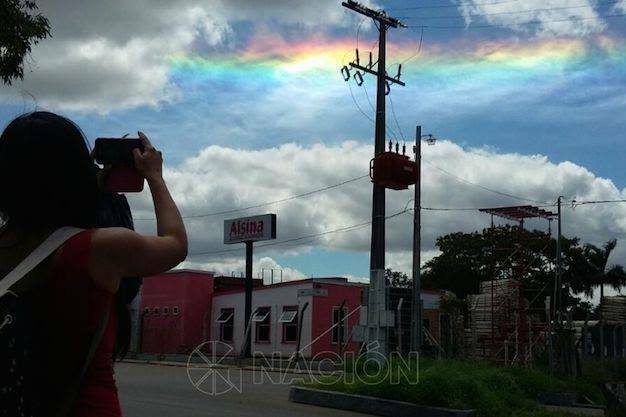 Because the temperature is so low where these clouds exist, they are made of ice crystals. 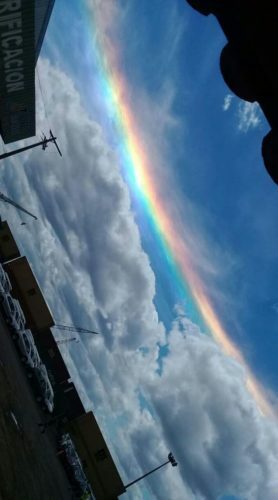 After the sun is higher than 58°, the light refracts through the plate-like crystals, which act like prisms and create the rainbow. 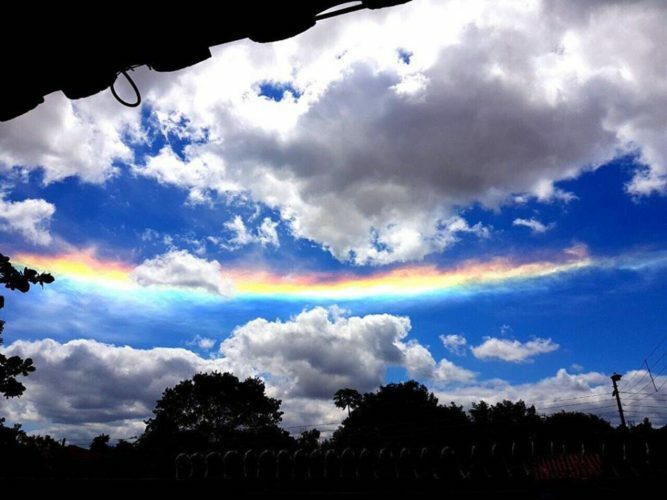 Circumhorizontal arcs aren’t the only optical illusion created by the sun and cirrus clouds; iridescent clouds, infralateral arcs, and circumzenithal arcs are just a few other ways the sun can create beautiful rainbow-colored clouds.